The Ben Jammin was based on a novel idea; why couldn’t two handed players have a decent soft rubber yo-yo like everybody else did? Based (presumably) on their Gator Jam yo-yo, YoYoJam made their own looping yo-yo with a rubber outer surface. The Ben Jammin, named in honor of Team YYJ player Ben Conde, was their only attempt at this. I guess the idea wassn’t that far fetched. 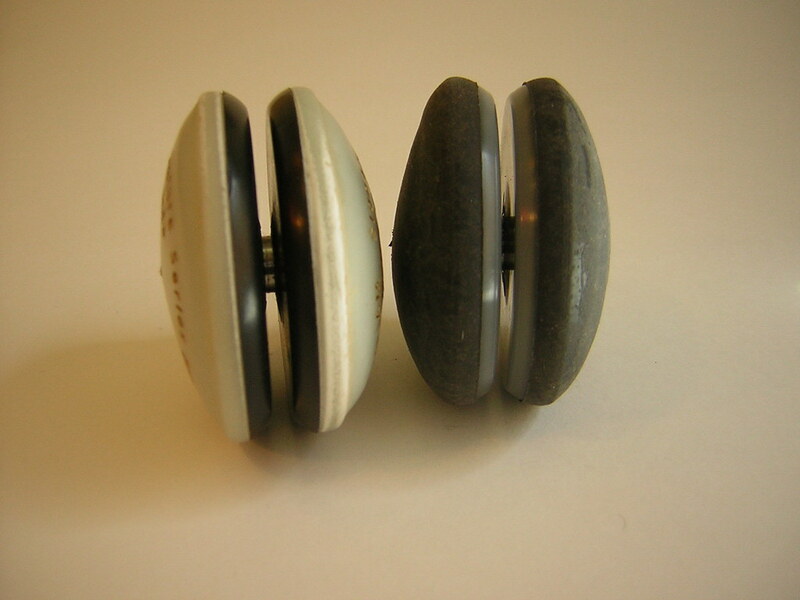 The Coral Snake, Moonstar, and the Mondial were all supposed to be looping yo-yos with rubber exteriors to cushion the impact on a player’s hand, but all of these yo-yos were also aluminum. Prior to the Ben Jammin, YYJ’s only experience with rubber was the large o-rings on the outer diameter of their popular Spinfaktor line. So they had very little experience with molding rubber. 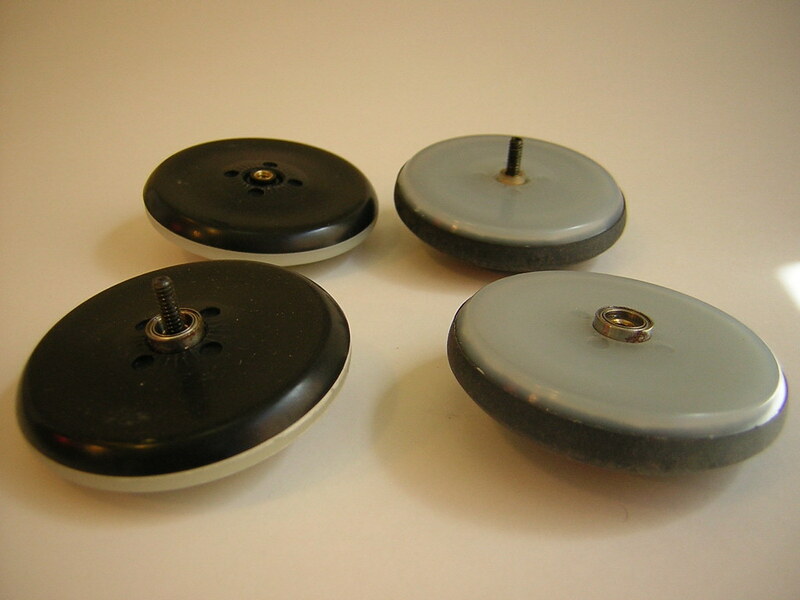 Dale started off with a soft rubber (see the pictured black rubber yo-yo), but molding this material was tricky and inconsistent. For the final product, YYJ plasticized the rubber to make it more predictable. 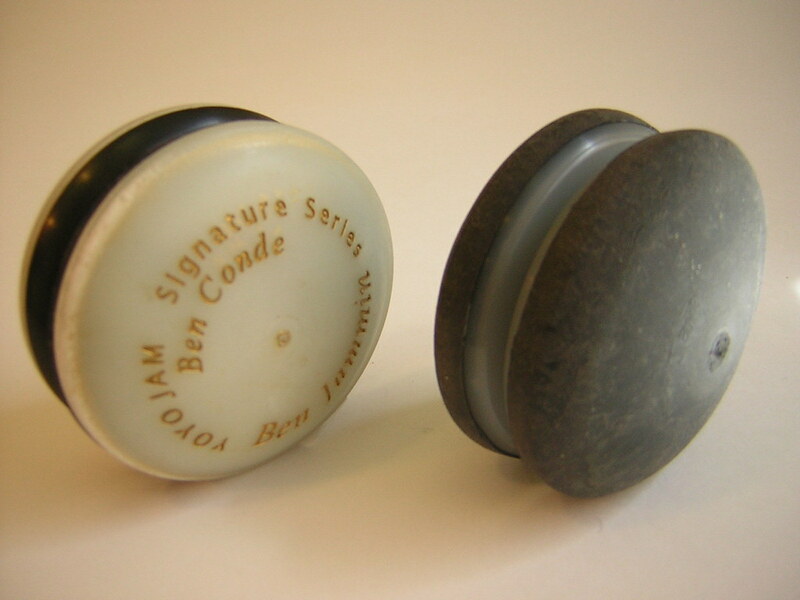 In the end though, the final Ben Jammin (with the white rubber) is so dense it basically feels like a hard plastic. With both models, getting a consistent mold just never seemed possible. If you look at the pictures, you can see the irregular shapes of the rubber components.